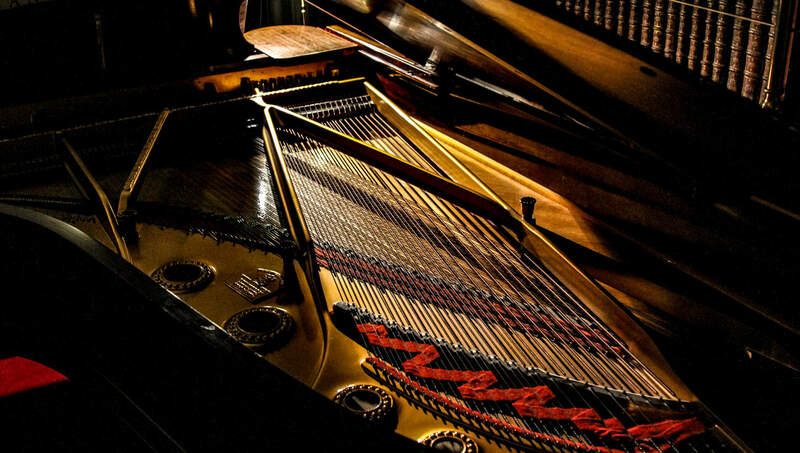 This is the first in a series of articles designed to help you choose and care for your piano. Here at Simply Music, we’re not too precious. When it comes to your choice of instrument, many teachers will insist on beginning on a good-quality acoustic piano in order to develop particular technical habits to prepare you for advanced playing. But we know that lots of people just want to have fun and don’t have grand musical ambitions. And we know that many people have a limited budget and may not be willing to commit to an expensive instrument when they are just dipping their toes into the musical waters. So starting off with an entry-level keyboard is fine with us, and you can have a great time with it, so long as it has a few basic features – at least 61 keys, a sustain pedal, a reasonable piano sound. But inevitably, as you develop, you’ll start to yearn for something with a bigger range and richer sound and some more capacity to fulfill your ambition for expression and nuance. But which way to go? More than ever, today you’re confronted with an array of choices, from the most whizz-bang digital instrument to the still-popular traditional acoustic piano. You may well walk away from a visit to your local showroom more bewildered than when you arrived. A real piano is still the gold standard, and digital instruments are still striving to match the sound and feel of a good acoustic instrument. But they have many features that a traditional piano can’t offer, like being pretty much maintenance-free, and giving you the opportunity to play at low volume or with headphones – and a lot of other features besides. We’d recommend keeping in mind what will best fit with your relationship to music. Many of the digital instruments in the store will be packed with features that you may not need, such as auto-accompaniments and self-teaching features. Since, if you’re reading this, you’re probably learning with Simply Music, some of those features may be at best unnecessary and at worst counter-productive. Simply Music is a carefully-structured program with an effective and unique methodology. You wouldn’t mix and match some other method with Simply Music, and you wouldn’t want want to be confused by flashing keys and other learning tools that work differently to the way your teacher does. We’d recommend you stick with the approach you’ve committed to, and saving your money on features that might just get in the way. On the other hand, having the facility to create backings can be a real boon. Imagine laying down a rendition of Bishop Street Blues or Billy at the Footy and improvising some blues over the top. It’s great learning and great fun. Adding some programmed drums or bass could enhance that, but only if it doesn’t send you down a path that steals your time from actual playing. Down the track, you might want to explore creating your own arrangements and developed compositions, but, in my opinion at least, if you want to really have a proper kit of useful composition and production tools, you’re best off plugging your keyboard into your computer (which most digital pianos will do) rather than paying through the nose for built-in features that sound spectacular in the showroom but often turn out to be more inflexible than you’ll ultimately want. If you end up dizzied by flashy demos and breathless sales pitches, you might be at risk of paying for features you don’t need. 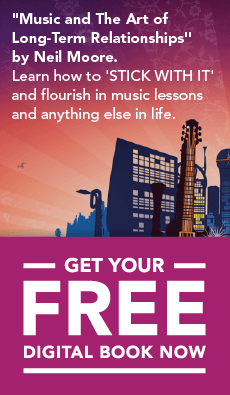 And if you’re participating in the Music & Creativity program, you’ll have access to great-sounding backing tracks that are purpose-built to guide you along the Simply Music path. 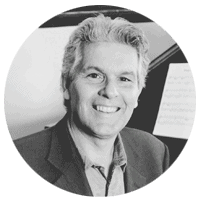 The really important things to check out are the authenticity of the piano sound and the playability of the keyboard. Obviously this will vary according to the price of the instrument. If humanly possible, make sure you have an 88 key instrument with weighted keys like a real piano. If you’re replacing an entry-level instrument and you don’t have at least these features, it won’t be too long before you’ll be back in the shop looking for the next upgrade. Weighted keys will vary a lot too. A traditional piano action is the standard to judge against, but you may not have enough experience to know what that’s like. Ideally, you’d bring a friend who is a good player and can audition instruments. Hopefully they can help you find the most flexible and expressive keyboard feel in your price range. They should be looking for a keyboard action that will still satisfy you as you develop your playing skills. The actual sound is a little more subjective. Digital instruments have made great strides with the authenticity of their sound, and they are often sampled from grand pianos you and I could never dream of owning. But it doesn’t mean it’s the same experience as playing a real Bösendorfer. Digitally reproducing the subtleties of a real piano is a dark art indeed, when you consider the subtle changes to tone and attack depending on the way a note is struck, as well as the influence of the sustain and soft pedals. In my experience, sometimes digital pianos, in their attempts to impress, exaggerate the dynamics and crank up the bass and treble in an unrealistic way. Again, a skilled player can be helpful getting some clarity. I recommend bringing a pair of headphones with you so you can hear everything without background hubbub. 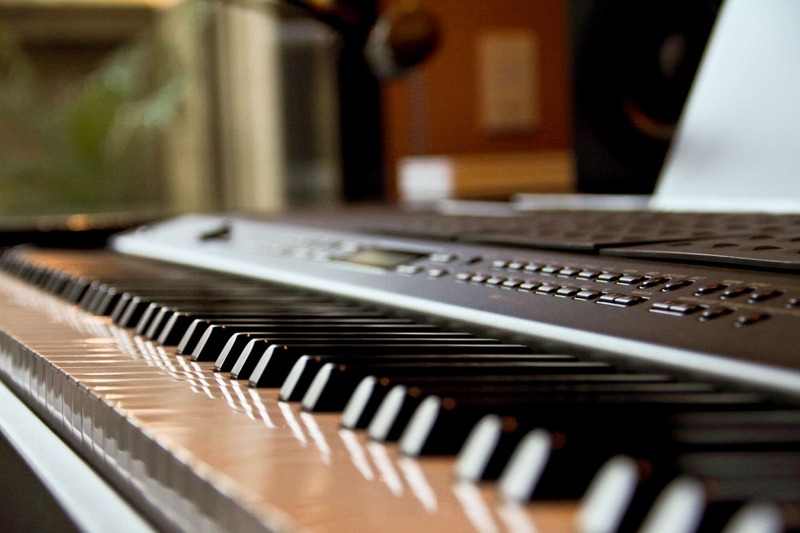 The ideal digital piano for most people is the one that sounds and plays as much like a real piano as possible. If you can find one that delivers that, without the kinds of bells and whistles that unnecessarily add expense, you should be a happy camper. With all those benefits, why do people still consider a traditional piano? I mean, you have to have it tuned regularly, you can’t turn it down, it’s heavy and bulky. But it’s real! Like a living thing, you develop a special relationship with a piano. For all their features and convenience, there’s just some kind of magic that you don’t get from digital instruments. And a serious player will still get more expression and musicality from an acoustic piano. If you have the space and the budget (and a decent upright piano might be barely more expensive than a digital piano with maximum bells and whistles), and you plan to make your musical journey a lifetime one, you might want to consider a traditional piano. You might think that acoustic piano shopping might be a simpler task, but not necessarily! There are choices between upright and grand, sizes and styles, and whether to choose a new or a secondhand instrument. This is a potentially complex topic so we’ll draw on some expert advice to bring you a full article on it soon.